When you consider that a well-made gong will outlive you (and most interpersonal relationships! ), it’s obvious that you want to select the Gong in Your Life much as if you were selecting a life partner. Like the modern world of relationships, must gong dating is now done through the internet. You look at the pictures, read the descriptions, and maybe even get to hear the gong struck a few times while on-line. And then it’s time to buy. You rarely get to “try it before you buy it,” so gong buying does require good advice and a trust in your intuition to make the final decision. Buy the Gong that Meets Your Travel Needs. If you are planning to take your gong around town (or around the world), you’ll need to be aware that flying with a gong larger than 32 inches is a real challenge. And if you are just going to keep it local or travel with it in your car, then gongs over 34 inches start to be tricky. Perfect gongs for flying are 24 to 30 inches – the 32 inch size is doable (and I do it!) but the case along will weigh 20 pounds (and runs a few hundred dollars). All hard cases for gongs cost some money, so choose wisely when buying for flying and also realize you are going to need a stand that likely comes complete apart and stores in a bag. For car travel, you can use the inexpensive soft gong bags and a stand that may not need to completely disassemble. And if you are planning to only move your gong once or twice a year, then you can move up to gongs 40 inches in size for car travel (but may need a large vehicle for the stands in the 40-inch range). Finally, if you are only going to move your gong after you die, then consider the 60 inch sizes and larger. 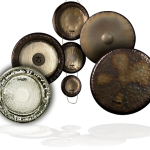 In general, the non-tuned gongs (usually called “symphonic gongs”) may feel easier to play for beginners than the tuned gongs (sometimes called “planetary gongs) while experienced players will enjoy developing their playing abilities in order to get the most from a tuned gong. 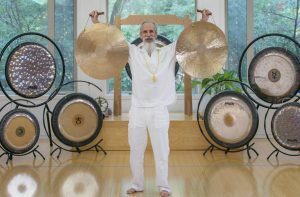 Yoga Teachers and those who play for relaxation generally prefer the European or Western made gongs for their wide range of sounds and responsiveness. 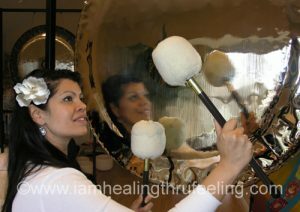 Sound Therapists like the tuned gongs that can affect the chakras and balance planetary energies in their clients. Shamanic healers and those who play the gong in ensembles (like rituals, drumming circles, etc.) enjoy the large and heavier Chinese or Eastern (Chau) Gongs or Wind Gongs. After all these considerations, your relationship with your gong will be personal and emotional and not cerebral or analytical. So get the Gong you want! While these guidelines are practical, it is really a little like being in love. After all, your relationship with your gong may outlast the relationships of many of your friends or lovers. You may be thinking that you only need one gong. But you are wrong. Gongs love company, and every gong is so different that you will want to practice poly-gong-omy. 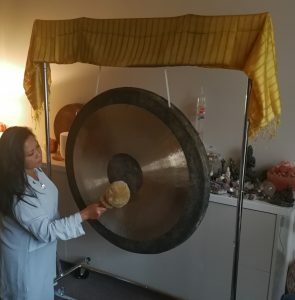 So when you buy a gong, realize you will likely buy another one which means you need to consider how the gongs will match and complement each other. So maybe get the massive gong knowing you will get a smaller travel gong later (or vice versa). Or buy the reliable size non-tuned gong even though you know in your heart you that later you intend to own every planetary gong ever made. 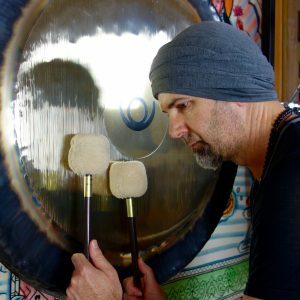 I do offer personal gong consultations by email or phone. 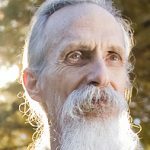 If you are into the planetary gongs, we can look at your astrological chart (I’m a certified Vedic Astrologer). And if we ever meet, we can do an extensive testing with various sounds and frequencies to see which ones best resonate with you. May all your gongs bring you happiness, prosperity and Good Vibes!